Over 200 new planets that could be like Earth have been discovered nearby in the Milky Way by NASA’s Kepler space telescope. Ten of the 219 new worlds are thought to be potentially rocky and in the so-called Goldilocks or habitable zone, a region which is not too close or far away from the star they are orbiting to enable liquid water to exist on their surfaces. The planet candidates, announced this afternoon by the US space agency, are in the final catalogue from Kepler's survey of the patch of sky in our galaxy known as the Cygnus constellation. The eighth catalogue is the most detailed released during the first four years of data gathering by Kepler. The telescope works by detecting the tiny drop in a star's brightness that occurs when a planet crosses or transits past it. 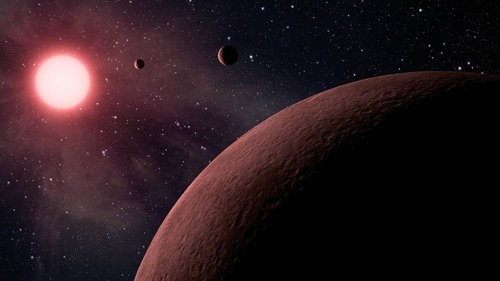 In total, Kepler has now identified 4,034 candidate planets, with 2,335 of those confirmed to be planets orbiting a star outside Earth’s solar system, otherwise known as extrasolar or exoplanets. Within that 4,034, 30 have been confirmed as being nearly the same size as Earth and situated within the habitable zone of their parent star, with a further 20 thought to be. The Kepler team has also discovered that small planets typically occur in two very distinct sizes - Earth-size planets and gaseous planets smaller than Neptune. The researchers also found that rocky planets are often up to 75% larger than Earth, caused by these worlds consuming a small amount of hydrogen and helium that makes them balloon in size. The scientists say the data shows that about half the planets in the galaxy either have no surface or an extremely inhospitable atmosphere that is not likely to be compatible with life. As a sort of insurance policy to ensure there was no under or over counting of planets, the scientists running the mission introduced simulations of transits by planets into the Kepler data set to figure out whether Kepler was mis-identifying planets. They also put data that looked like it was coming from a planet but was not into the system, to see whether the analysis got the identification correct. "The Kepler data set is unique, as it is the only one containing a population of these near Earth-analogs - planets with roughly the same size and orbit as Earth," said Mario Perez, Kepler program scientist in the Astrophysics Division of NASA's Science Mission Directorate. "Understanding their frequency in the galaxy will help inform the design of future NASA missions to directly image another Earth."